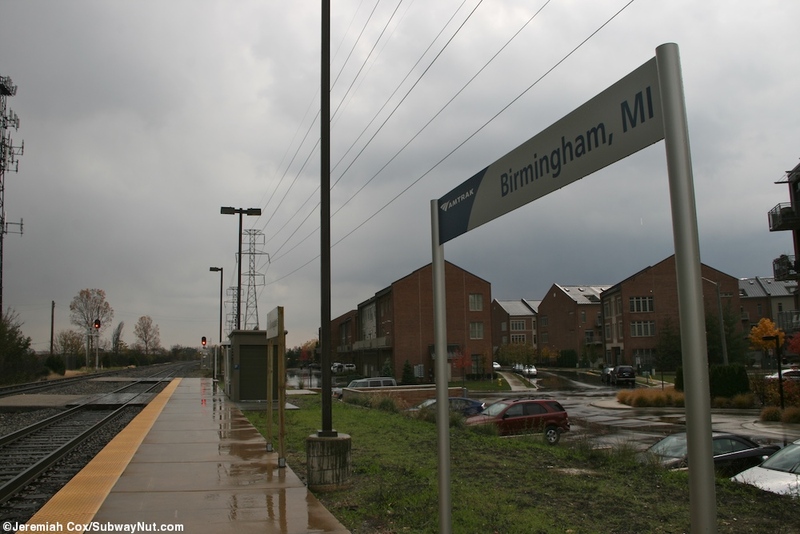 Birmingham, MI is a stop on the Pontiac, MI extension of the Wolverine north from Detroit which feels like a Commuter Rail Line from all the frequent stops. 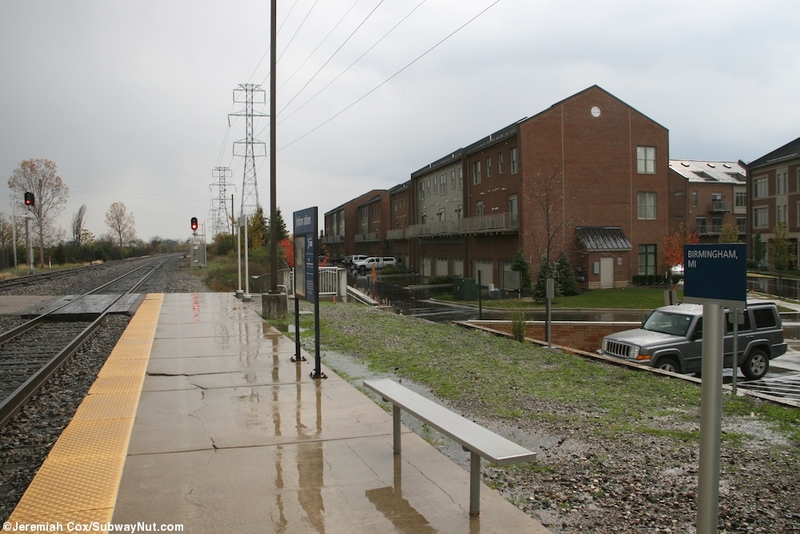 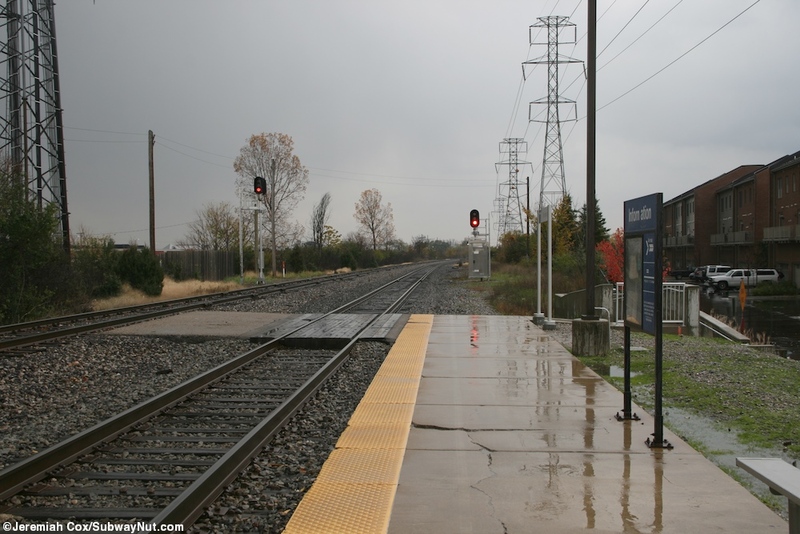 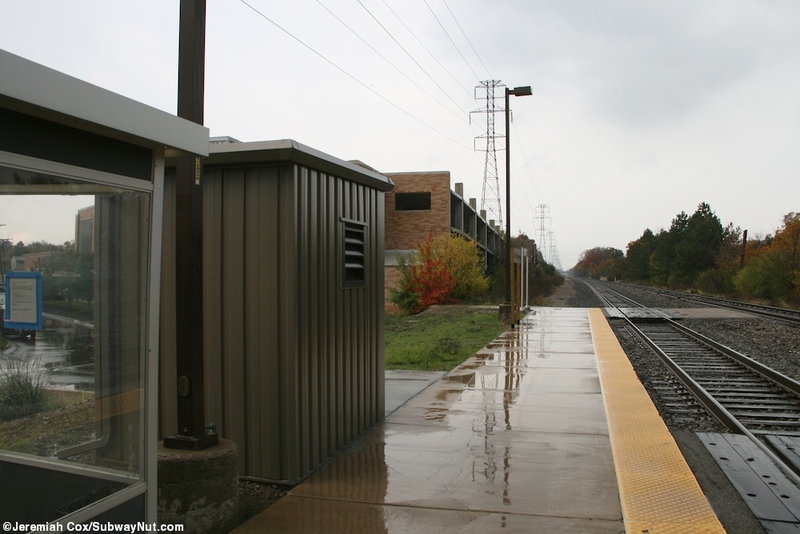 The station was replaced by the Troy, MI station down the tracks, south of the current station. 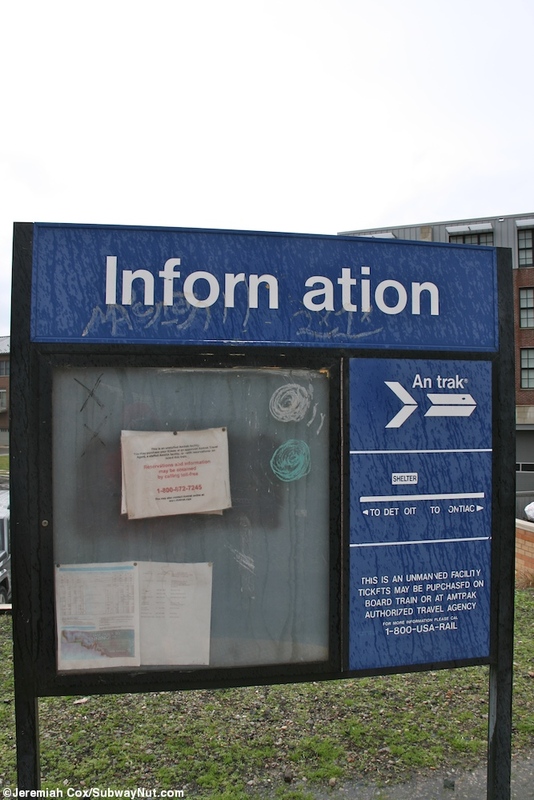 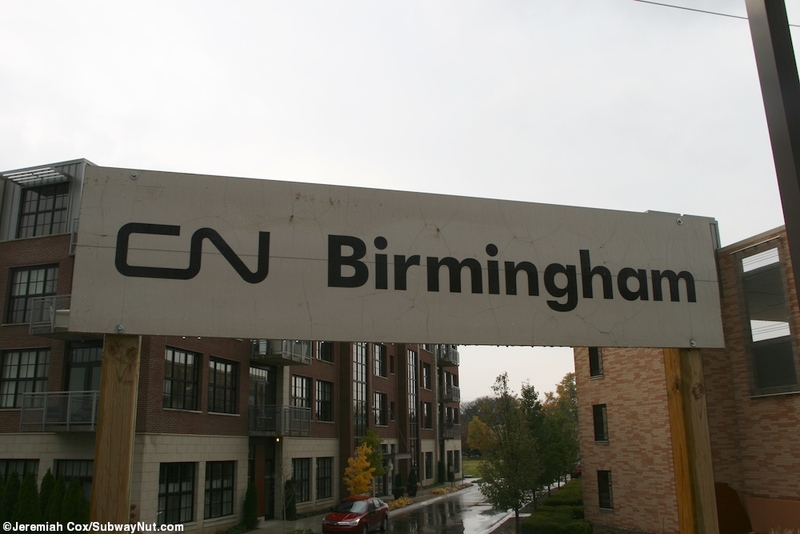 The station and tracks strattle the boarder of Troy and Birmingham, but is fully located in Birmingham. 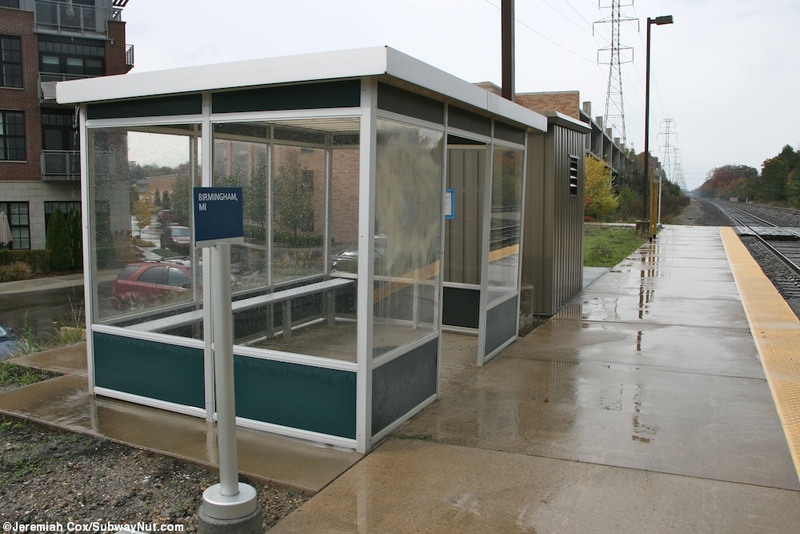 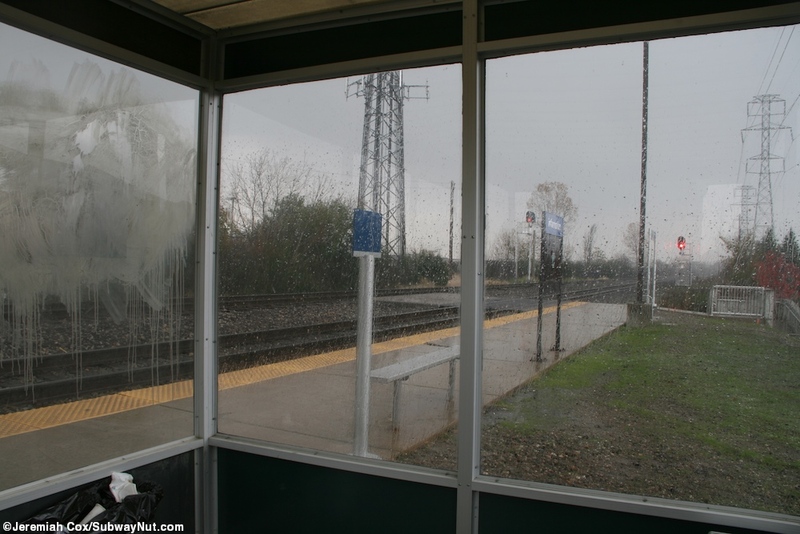 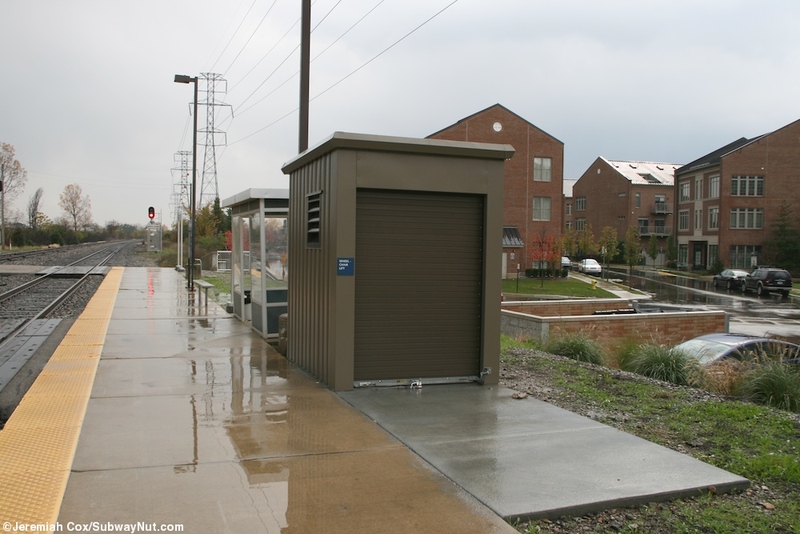 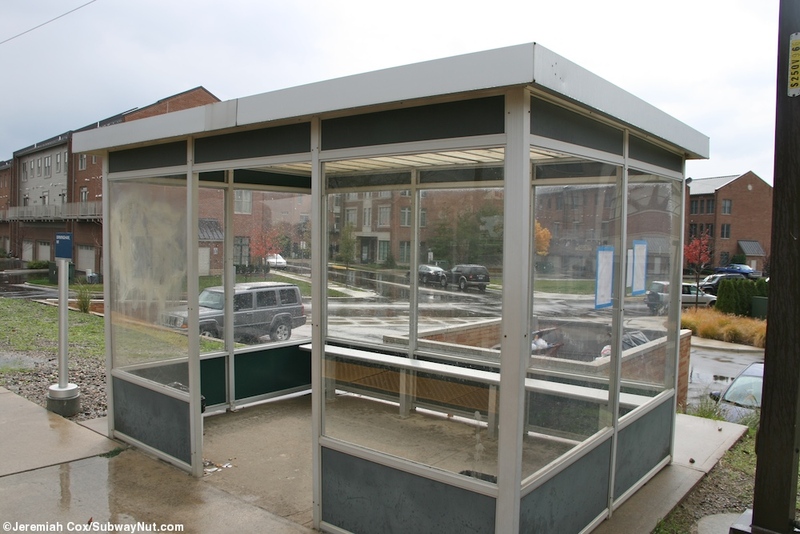 The stop is a classic AmShak with just a small metal enclosure with plastic walls and a plastic roof that I found myself stuck in a brief hail and frozen rain storm when I visited. 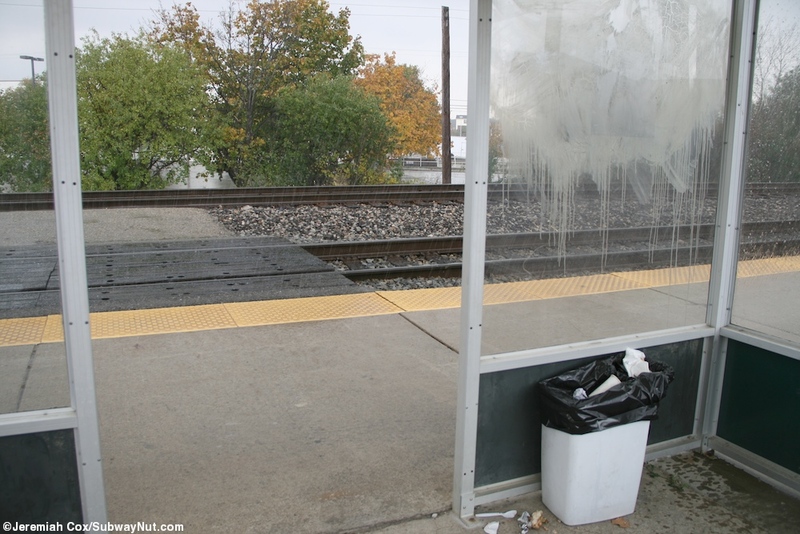 It also unfortunately has two overflowing garbage cans that don't give off the best of smells. 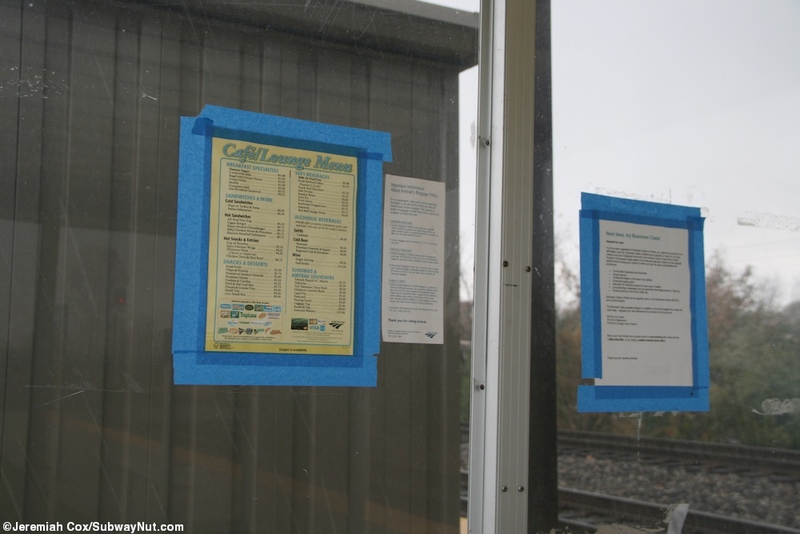 Ironically someone has posted a cafe car menu, baggage policy brochure, and an unprofessionally printed sign to upgrade to Business Class on the inside of the glass. 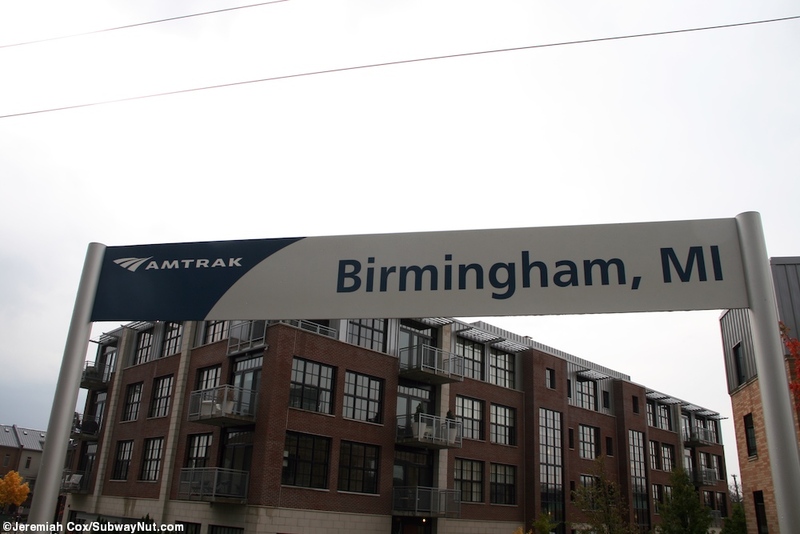 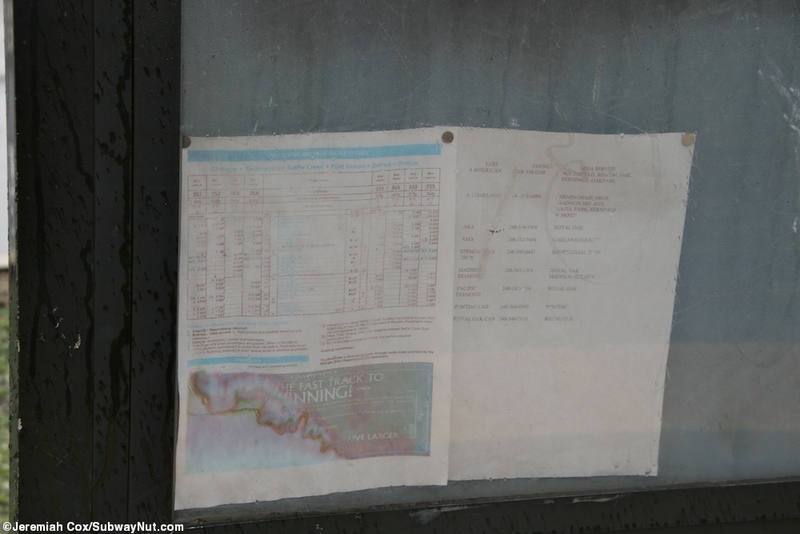 This is on a recently rebuilt concrete platform with a tactile warning strip, wheelchair lift enclosure, two Birmingham, MI platform signs and an older information panel with peeling signage and just a faded Wolverine time table inside. 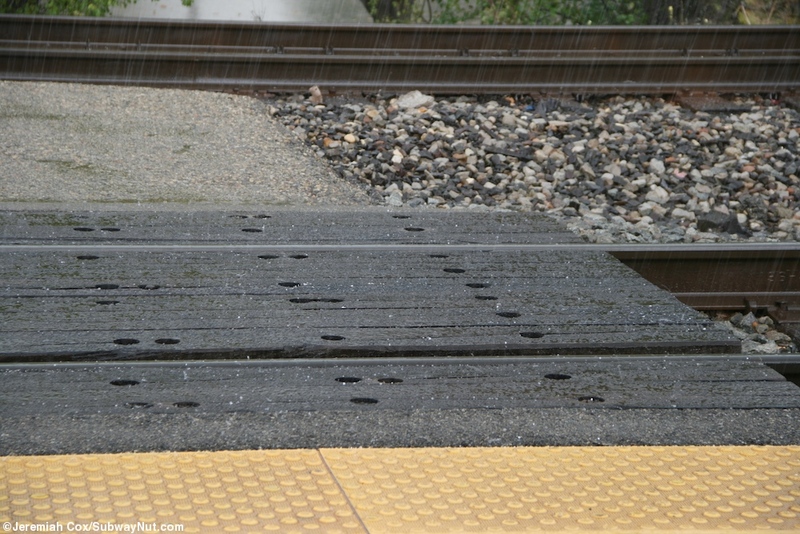 The platform is located up on an embankment, on a two-track railroad line and three wooden platforms lead out to small concrete boarding areas along the second track. 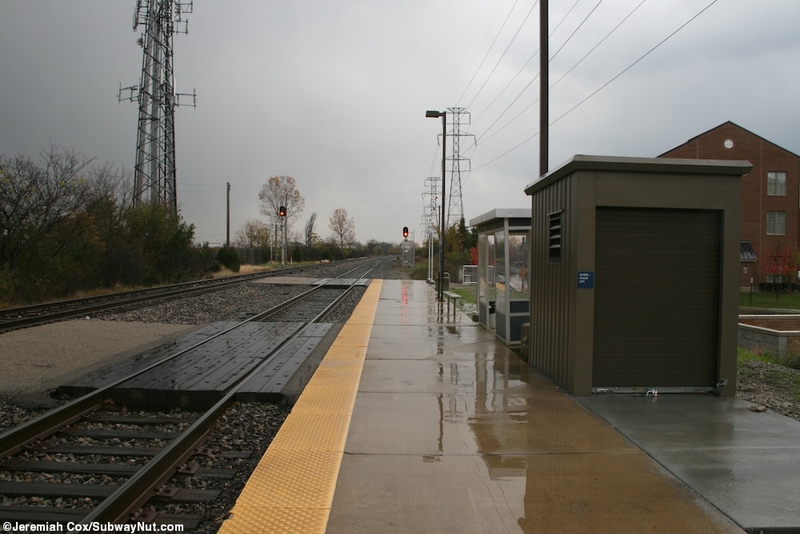 A concrete ramp that switchbacks once is the station entrance to where Villa Road curves south a bit. 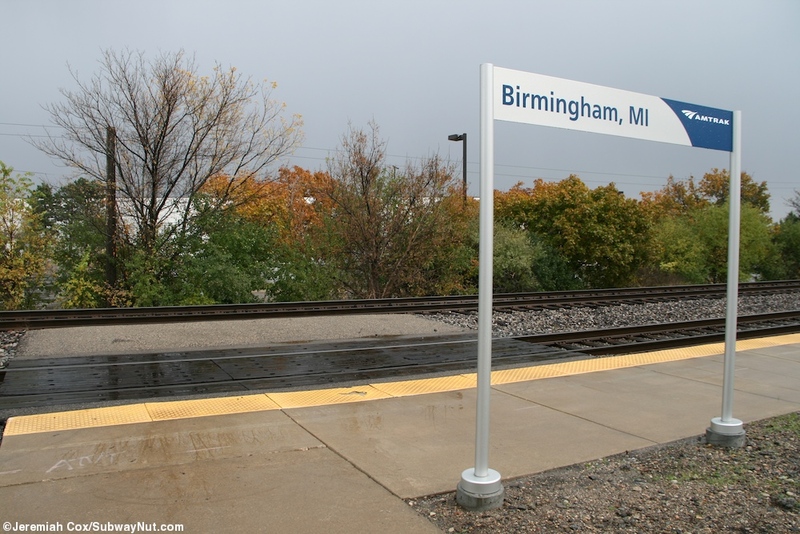 The stop is in the midst of the rail district, a newly emerging neighborhood with amenities like luxury rental apartments and is slightly less than a mile east of Woodward Avenue, the center of downtown. 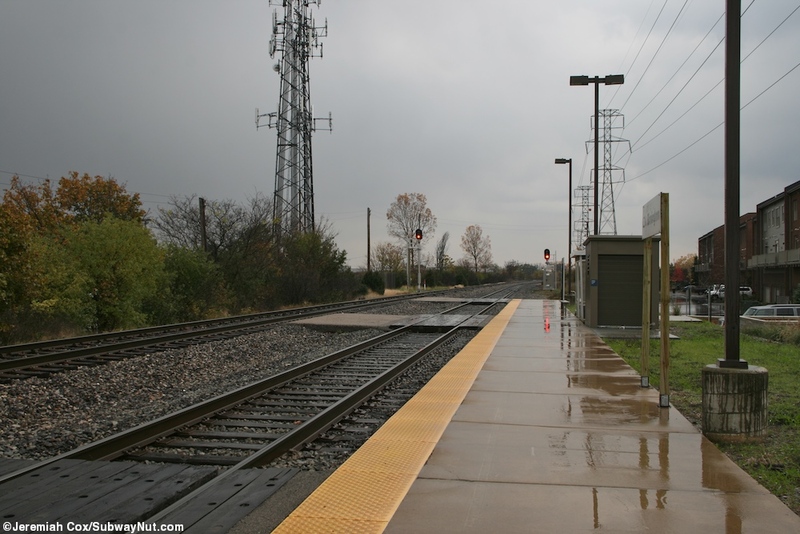 There railroad station signs all the way to the station from this far away. 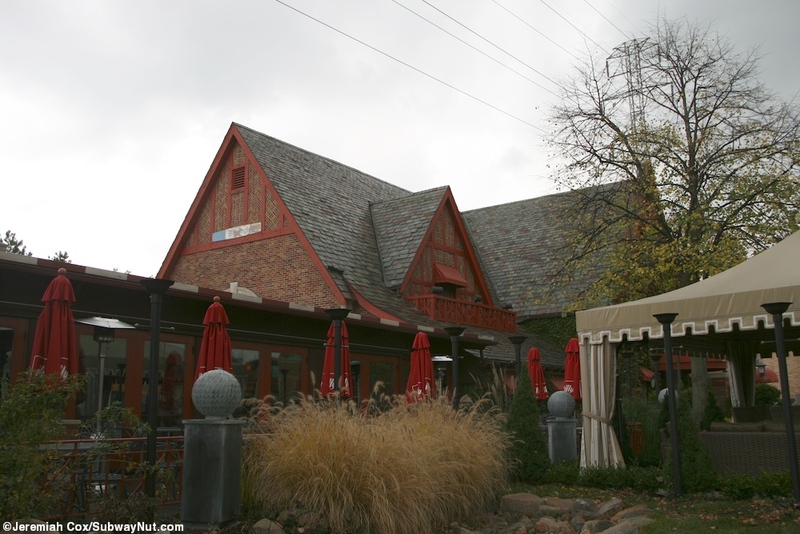 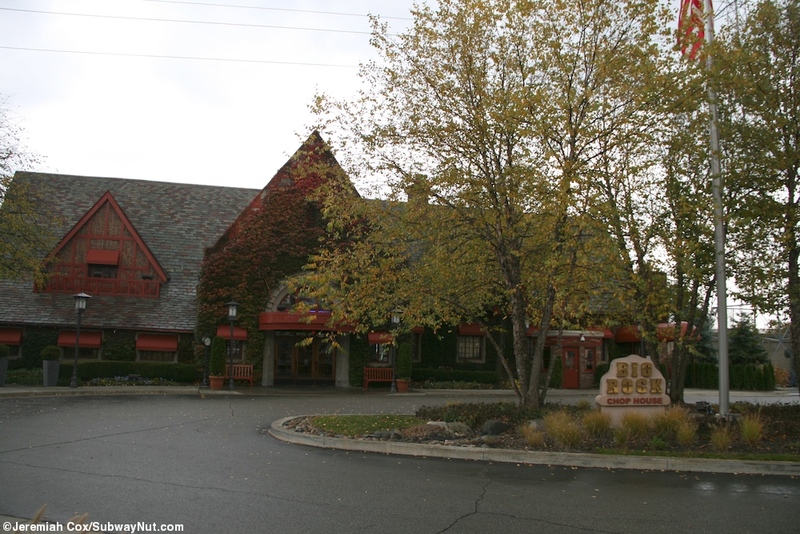 A few blocks north of the station the old Grand Truck Railroad has been turned into the Chop House restaurant.